This site could be a powerful supplement to textbook-based teaching and learning. 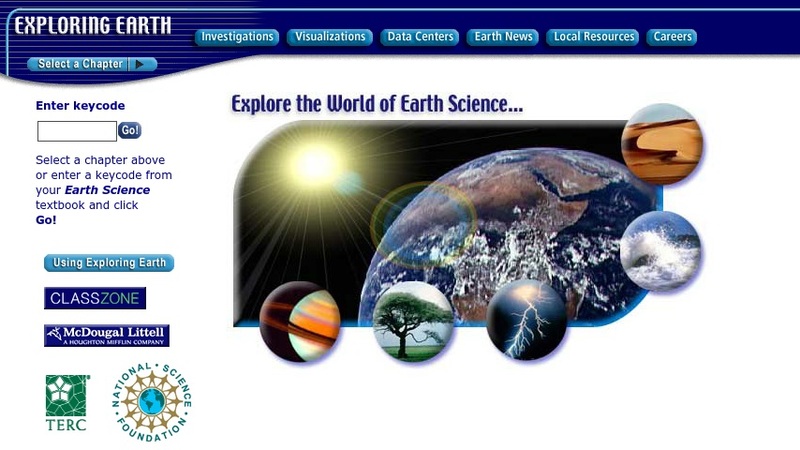 By using this site, high school students can visualize and interact with Earth science concepts in an active, engaging manner. If teachers are looking for online resources that promote inquiry- or discovery-based learning, they could draw from the more than 70 investigations on this site. Specific resources could also be used to introduce a topic, to supplement a reading assignment, or to continue student learning at home. Although the site was created to supplement a specific Earth science textbook, it can be used, without difficulty, by students and teachers who do not have that particular text.